Everybody’s getting in on Halloween, from infants to adults, parents to pets, all around the house. If you want to claim your share of this $9 billion holiday, your email strategy must evolve to reflect the new reality. The opportunity window is wide open, even for companies that once got no closer to Halloween than a bowl of candy on the receptionist’s desk. The National Retail Federation said Americans expected to spend $9.1 billion on Halloween merch in 2017. Although costumes ($3.4 billion) and candy ($2.7 billion) account for most spending, home decorating accounted for another $2.7 billion. Americans planned to spend an average $86.13 per household. Men outspend women ($96 to $77 per capita on average). 16% of survey respondents planned to dress up their pets. 43.6% of shoppers do most of their buying in the first two weeks of October. Halloween spending is second only to Christmas in the United States. In Canada, the Retail Council of Canada estimated spending would hit $1 billion ($760 million US) and a per-capita spend of $77 in 2014, the most recent year comparable spending records were reported. British consumers were projected to spend £4.81 million (about $6.22 million) in 2017. In Japan, Halloween spending hit ¥135 billion ($1.2 billion US) in 2016, driven largely by giant costume and cosplay parties and adaptation of American-style food and decorations. The first two charts below show most Halloween emails are sent before the Halloween holiday. The chart above also shows that Halloween email begins to trickle into inboxes well before the event, with a major influx the day before. So, it’s a good idea not to wait too long before sending your first holiday messages. If you’d like to learn more about promotional and discount strategies for Halloween, make sure to look at MailCharts Halloween’s page. Halloween is all about creativity—costumes, decorations, and parties. Creativity will help your emails stand out in a crowded inbox, too. These strategies can give you the edge that gets your emails noticed, opened and acted on. Promote sneak peaks of your Halloween products well before the first candy and costumes hit store shelves. Offer VIP content to customers who have bought your Halloween items in previous years. 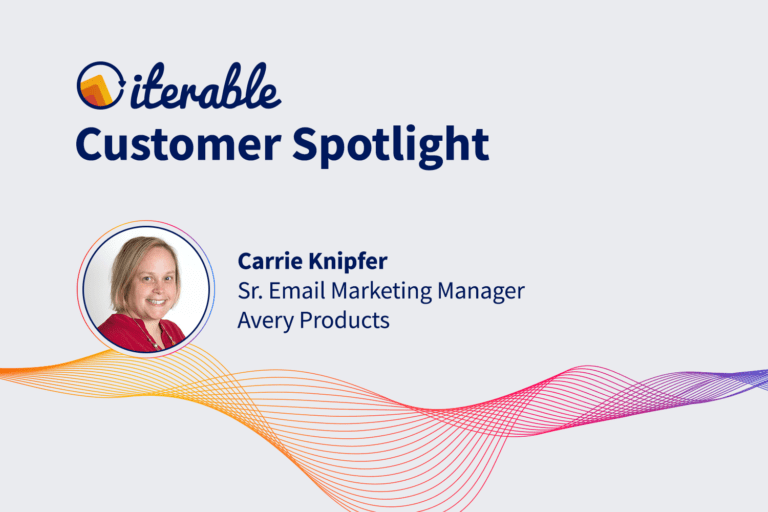 Invite customers to share your enthusiasm by uploading photos of costumes (themselves, friends, family and critters), decorations (home and workplace), food displays, and anything else that spotlights their creativity. 2. Help customers be successful. Share your own tips for shopping, costuming, hosting, decorating or face/body makeup—whatever is relevant to your market—along with your promotional content. Consider including a primarily editorial email to your campaign schedule, or switch out one promo email for an editorial message with tips and advice, written by your staff or commissioned from a brand-name expert. If your company isn’t a traditional Halloween destination, highlight non-themed products that would fit, like this Parts Express email that promotes foggers, outdoor speakers, strobe lights and LED light strips. Nary a vampire in sight but still an effective Halloween-theme promo. Parts Express keeps Halloween promotion simple with its themed banner. 3. Look around for creative inspiration. Email designers and developers are more creative than ever. 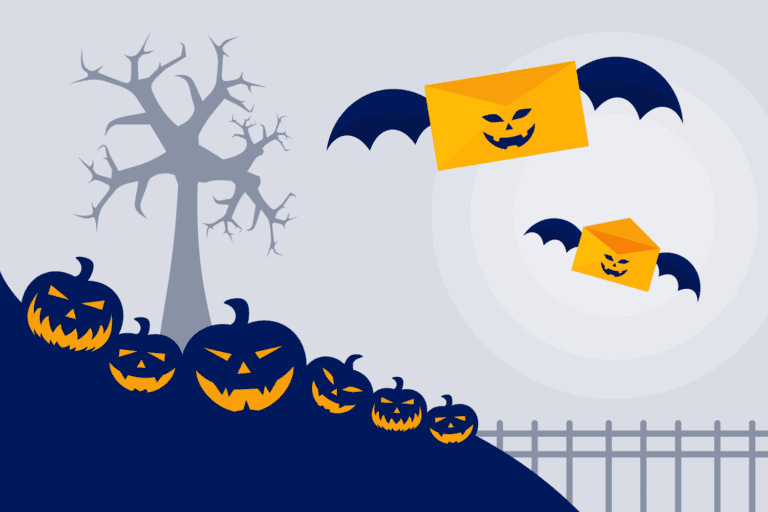 So, if you want your emails to be memorable, you need to do more than add a Halloween emoji to your subject line or a stock image in your message content. 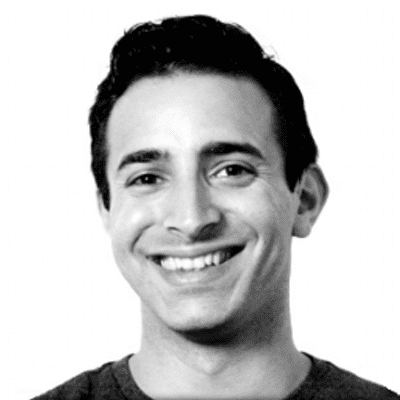 Animated GIFs can bring your emails to life, but dynamic content using behavior, user preferences, or real-time data can make them invaluable. We’re constantly amazed at the creativity we see in Halloween emails as we search the MailCharts database. We pulled together a list of Halloween emails from brands in various market niches, including those whose products naturally ally with Halloween-friendly themes and others who are able to co-opt the holiday in ways you might not expect. We welcome you to check it out here and share it with your team. Subject line: Oh my gourd, here we go again. 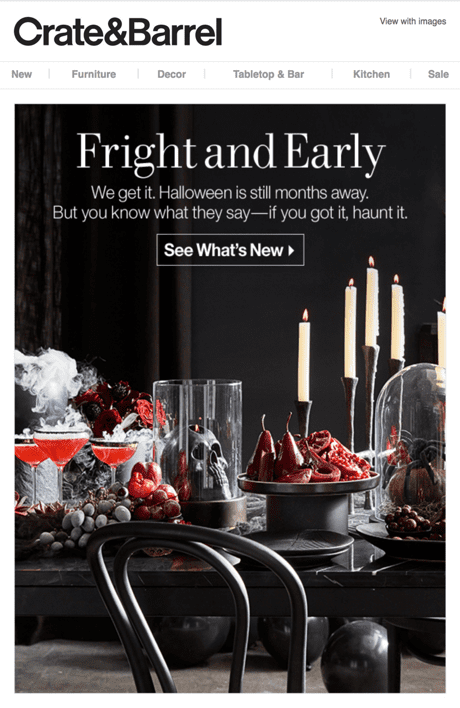 Oh my gourd—Crate & Barrel kills it with their Halloween puns. This home-décor brand owns the Halloween obsession by inviting its customers to join-in. The email is a sly wink at people who complain about seeing seasonal merchandise too early—in this case, Halloween products unleashed in the heat of summer. Sent in early August, the message is aimed at customers who don’t wait for the trees to start turning before beginning to decorate the house inside and out. This is a clever tactic, given that nearly 50% of people who celebrate Halloween say they will decorate, and that home décor sales represented $2.7 billion in holiday spending, the NRF said in 2017. It’s also an example of how to recycle content and update it at the same time. This email uses the same headline as the Halloween sneak peek the brand sent out the previous year and a slightly tweaked version of the copy. But an updated hero image and subject line make the email look fresh and new. Subject line: Do you dare enter the boo-tique? 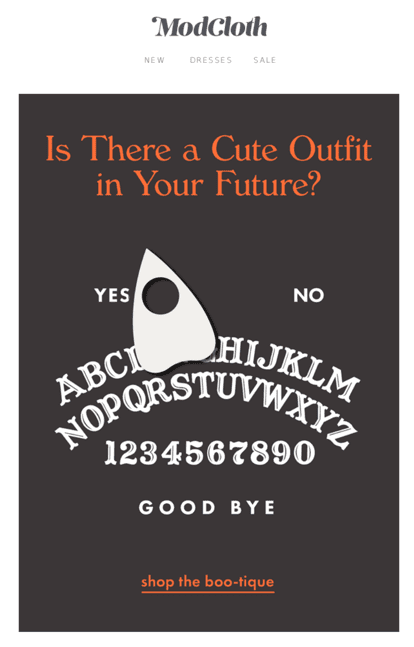 ModCloth makes Halloween interactive with its animated Ouija board design. This email looks like a business-as-usual shopping message, but the subject line and call to action are perfect for die-hard Halloween fans. This early-season email doesn’t even mention the holiday, which can be a good tactic if it goes out while your back-to-school campaign is in full swing. But, the email content makes it clear this is aimed at firing up those fans, from the subject line to the subtle color scheme and the animated Ouija board. “Shop the Boo-tique” is a clever and action-oriented call to action, too. You don’t need to sell candy and costumes to celebrate Halloween, as seen in Top Villas’ promotion. This brand shows you how to do Halloween when your brand is not specific to the holiday like the home décor and clothing brands from above. This vacation-rental brand targeted this email to customers who had requested information about vacation rentals in Orlando, so it has higher relevance than a simple broadcast email. The design is not over-the-top Halloween but simply incorporates small elements into the message’s standard template (the web dripping from the top bar, for example). The email itself, although promotional, also mixes in editorial copy to nudge customers closer to a decision. Hopefully, you now feel fully prepared to ace your Halloween campaigns. 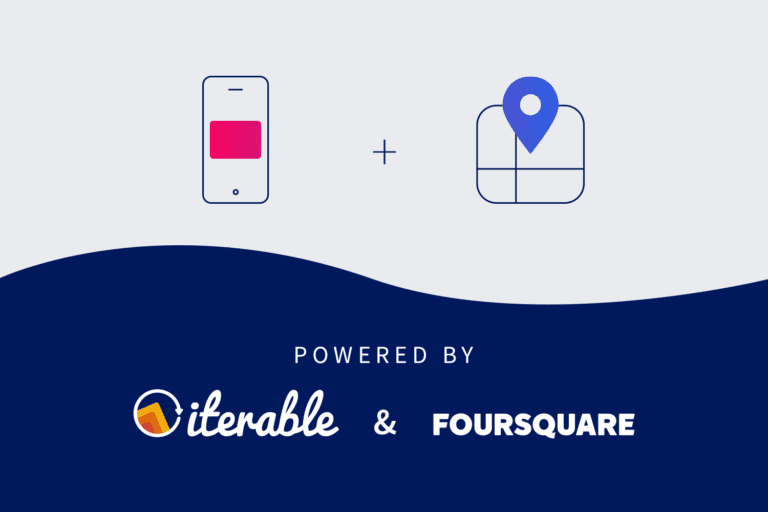 Feel free to Tweet @Iterable and @MailCharts with any questions or additional strategies you’d like to share. Here’s to a happy Halloween that’s full of treats!